For eons, Incubi (bad, negative dreams) and Sognae (happy, positive dreams) have dwelled in Equilibrion, opposed but complementary. As the king of this City, you must establish and maintain the delicate balance between those dreams: place them in the various districts, harness their power, and beware of the Chaos – fearsome entities that thrive on discord and hatred. 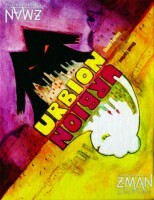 Add a Review for "Urbion"